The Mufti of Ukraine Said Ismagilov had time to leave occupied Donetsk on time, as there was a threat to his life, a Ukrainian scientist and religious scholar Ihor Kozlovsky, who was released from captivity, said in an interview with QHA. 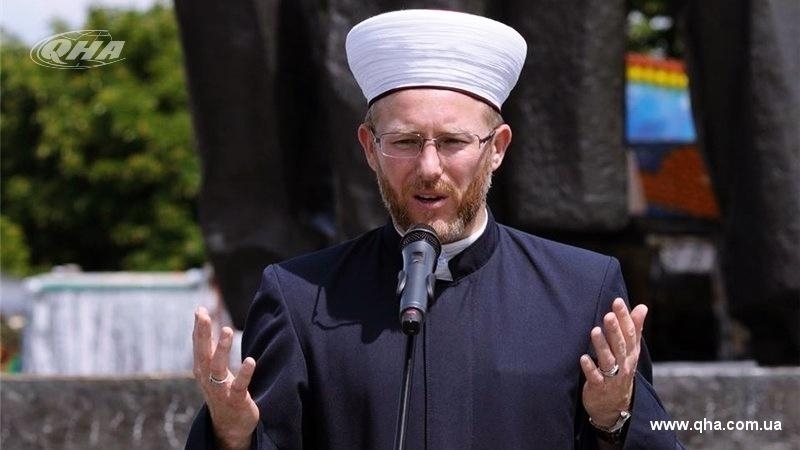 According to Kozlovsky, the Mufti of the Spiritual Board of Muslims of Ukraine was written a denunciation. “The Mufti managed to leave Donetsk on time, he had already been convicted," he said. Kozlovsky highly appreciated the work of Ismagilov. “Ismagilov is a patriot of Ukraine. He is my student. We worked together when those events began (Russian aggression). We wrote letters to the authorities together," the scientist said. Now, Kozlovsky works with Ismagilov to show the beauty, greatness and peacefulness of Islam. The religious scholar also said that the Head of the Roman Catholic Church, the Pope of Rome Francis, is closely following the liberation of the Crimea. “His spiritual teacher was a Ukrainian. He knows not only formally, he is ill for the fate of Ukraine. He knows what is happening in the Crimea and the East. The Pope fought for our liberation. The Papal Nuncio traveled to Putin with lists to free me," he said. Earlier Kozlovsky said that the so-called management of the Donetsk People`s Republic imitates Russia in matters of religion.